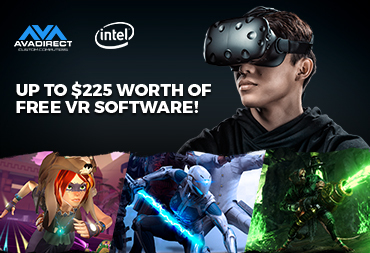 Experience a whole new level of gaming with an AVADirect system powered by Intel. Configure your AVADirect PC today and get 9 free games. Get $80+ worth of free software when you purchase a qualifying Intel Core i7 or i9 based custom PC. Get Far Cry 5 FREE with select AMD Radeon powered PCs! 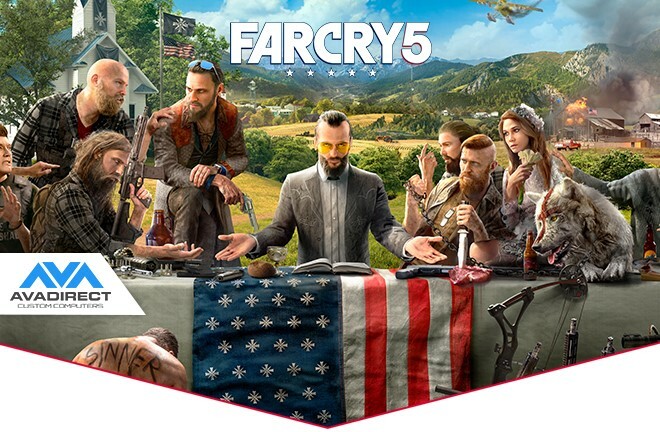 Free Hope County from the grip of a dangerous cult in Far Cry® 5, free with purchase of an eligible computer featuring AMD Radeon™ RX Vega or AMD Radeon™ RX 580 graphics card. New Ryzen Desktop CPUs with Radeon Graphics Available at AVADirect! Incredible console-class gaming – No graphics card required. AMD's taken their ground-breaking Ryzen™ processors and fused them with the incredible, visually immersive Radeon™ Vega Graphics. When you put Ryzen and Radeon on the same chip, you unleash your gaming PC’s true potential. With up to 4 cores and 8 threads, AMD Ryzen processors deliver exceptional PC performance with revolutionary machine intelligence, massive multitasking capabilities and a highly efficient architecture that mean faster, smoother experiences for you. 2 games FREE! Get Wolfenstein II: The Colossus and Prey when you buy select AMD Radeon RX Vega GPUs, for a limited time with AVADirect. Upgrade your PC with the latest from NVIDIA, the GeForce GTX 1070 Ti, powered by Pascal architecture to deliver up to 3X the performance of previous-generation graphics cards. Discover unbeatable gaming with the powerful Intel Core i7! Receive a FREE copy of Assassin’s Creed: Origins and Total War: Warhammer II with your purchase of select Unlocked Intel Core i7 desktop processors from AVADirect. Defeat your enemies now. Upgrade your pc with Intel's newest generation of processors, Coffee Lake! Get up to 2x better productivity vs. a 5-year-old PC than the last generation thanks to improved multi-threaded performance with up to 6 processor cores and enhanced overclocking with unlocked processors. Find out more about Intel's 8th generation of CPUs here! Get Your FREE Shadow of War Game Bundle, for a Limited Time! Forge your army. For a limited time, buy a GEFORCE GTX 1080 or 1080 TI and get Middle-Earth: Shadow of War for free! Champions have risen in Bethesda’s new and extremely action-packed FPS Quake Champions. Get a FREE “Champions Pack” with select AVADirect Ryzen™ or Radeon™ RX 500 series-based systems. Power your AVADirect system with Radeon™ RX Vega. Witness the breathtaking power of Radeon™ RX Vega graphics with high-resolution gaming, maximum framerates, intense visuals and cutting-edge technology and experience the ultimate level of gaming. Let your hardware earn you money. Turn a profit with a money-making machine designed specifically for crypto mining, using up to 8 powerful graphics cards. Get Destiny 2 on PC with GeForce® GTX and rise a legend with AVADirect. Get your FREE Summer Software Starter Kit when you purchase a qualifying AVADirect PC with a powerful Intel® Core™ i7*. Enjoy 8 free programs, recommended by Intel Streamers Bootcamp, so that you can start your stream off the right way! 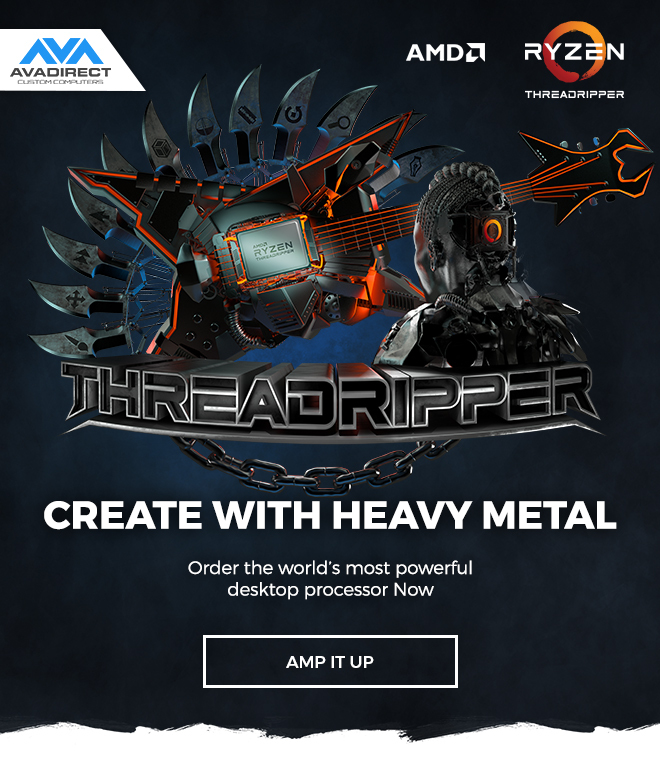 Conquer It All with Threadripper™! Now Available at AVADirect. Never put productivity on hold. Render complex 3D scenes, stream high-quality video, and play demanding games at the same time. Encode. Compile. Encrypt. Virtualize. It doesn’t matter. Ryzen Threadripper can do more, faster, than ever before. 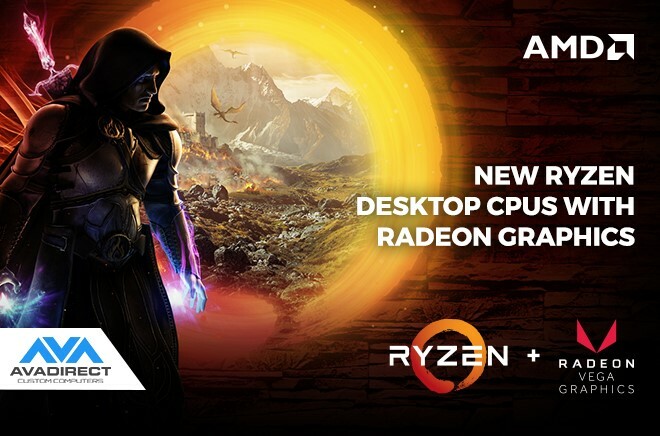 AMD Ryzen™ 3 is now available in all AVADirect Ryzen based configurations! The new AMD Ryzen™ 3 processors feature AMD SenseMI technology that learns and adapts to provide the best possible experience. Get true quad-core performance today! It's time to get extreme! The most advanced desktop processor ever is now available at AVADirect. Elevate your performance now with the new Intel® Core™ X-Series processor family now. Get Game Ready and experience Destiny 2 on PC. For a limited time, when you buy a GeForce® GTX Battlebox Ultimate you’ll get Destiny 2 at PC Launch and Early Access to the PC Beta! The AVADirect Battlebox, powered by NVIDIA GeForce® GTX, is a powerful rig that gives you everything you need to compete – and win. It delivers all the performance of the world’s best graphics cards and the latest hardware from top systems builders. It's time to gear up and battle on. Got Boost? Step into the Rocket League Arena with AVADirect. Buy GeForce® GTX and get Rocket League free. Why will you Rebel? Freedom? Control? Community? Radeon™ RX 500 series graphics cards are now available at AVADirect. Now you can get premium performance at a fair price. #Radeonrebels. Ryzen™ Series Processors Have Arrived! Ryzen™ Series processors are now available at AVADirect. Designed for impeccable performance, they feature up to 8 cores and 16 threads, SenseMI Technology and unlocked multipliers for overclocking. Accelerate your performance now. Extreme Rig Challenge Best Performance Award! AVADirect attended PAX East in Boston last week. We blew the competition away, winning the Best Performance Award! The AVA Z270 Scorpio is on display at the CES at the Gigabyte suite in Caesars Palace, Palace Ballrooms I & II. CPU Magazine Catches Up With AVADirect’s Travis Bortz & Shannon Robb, discussing what's changed so far and what's in store for 2017. Tweet “I vote @AVADirect for #IntelRigChallenge” to enter the giveaway & help unveil our most extreme gaming PC yet. AVADirect is honored to be attending the Intel Solutions Summit this week in Orlando, Florida. 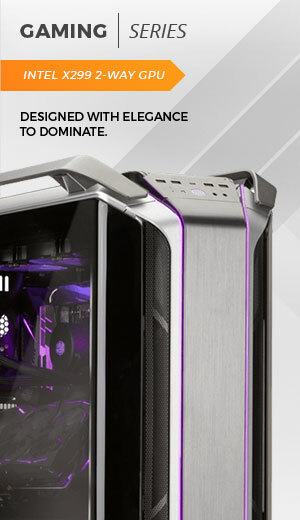 AVADirect Custom Computers is now offering Just Cause 3, Counter-Strike: Global Offensive, and World of Tanks free with the purchase of a computer with a qualifying Intel Core i7 processor. Qualifying processors include Intel Core i7 processors from the 4th, 5th, or 6th generation. The latest custom notebooks and gaming laptops from Clevo are now available at AVADirect. These new Clevo laptops feature the new Skylake architecture processors for Intel and the new DDR4 memory standard. The Clevo gaming laptops include powerful mobile graphics cards like the Nvidia GeForce GTX 980M and 970M for desktop-level gaming performance. The latest technology from NVIDIA is now available at AVADirect Custom Computers in the GeForce GTX 980 Ti. This GPU was artfully crafted to run today’s and tomorrow’s games at 4K. It syndicates the latest technology upgrades and extreme performance metrics. Built on the Maxwell architecture, this gaming changing innovation GPU boasts 2816 CUDA cores and a 6GB VRAM and frame buffer rate. AVADirect Custom Computers is now offering ‘The Way It’s Meant to be Played’ game bundle, a limited time offer including The Witcher©3: Wild Hunt to your game collection for FREE with any purchase of a GeForce®GTX™ 980, 970, 960, or 970M notebook GPU . DALLAS, Texas — Mass Luminosity announced today that AVADirect Custom Computers, a boutique computer manufacturer specializing in the design, engineering and production of high performance computer systems, has become a sponsor of Gaming Tribe, the world’s first curated social media network primarily focused on PC gamers and technology enthusiasts. New product available from AVADirect Custom Computers! Kingston Memory announced the initial product launch of the HyperX Fury DDR4 Memory. Today, NVIDIA launched the long awaited GeForce GTX 960 to the general public and corporate partners. The GeForce® GTX™ 960 delivers incredible performance, power efficiency, and cutting-edge gaming technologies that only NVIDIA Maxwell™ technology can offer. AVADirect is proud to offer the brand new NVIDIA® GeForce® GTX™ 980M and GTX™ 970M GPUs that represent another step in the quest to bring mobile platforms in line with desktop performance. If you purchase any 4th gen Intel® Core™ i5 or Intel® Core™ i7 system or processor, you are eligible to receive Free Download of 'World of Tanks' with many extras. 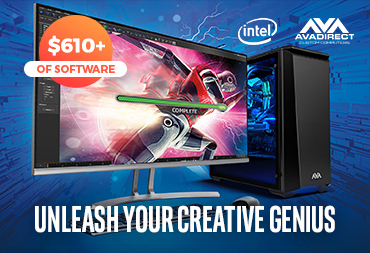 AVADirect give YOU the advantage, and be the first to configure a machine featuring the brand new I7-5960X with DDR 4 technology! Today AVADirect, a leading custom computer integrator, announces their ability to provide the new NVIDIA GTX TITAN Z graphic processing unit. AVADirect, a leading provider of custom server solutions, now offers the uniquely-designed FatTwin™ GPU-Oriented, Octa-Xeon® 4U Server by Supermicro. 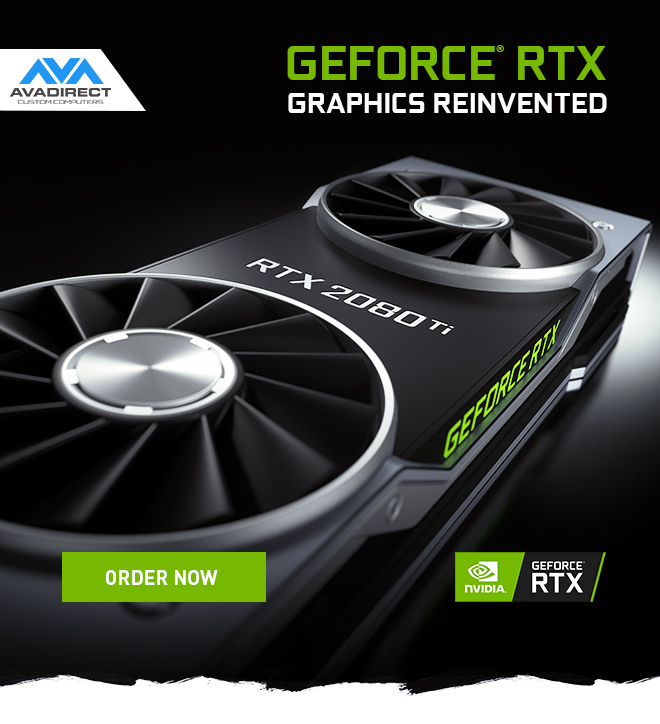 Today AVADirect, a leading provider of custom notebook solutions, is one of the few to first offer the latest mobile NVIDIA 800 series graphics cards. With every year that passes, a new mobile generation of NVIDIA graphics is released to provide the most cutting-edge, power efficient, and improved technologies to drive today's mobile platforms. This year, NVIDIA has the resources to release the NVIDIA GeForce 800M graphics processing units. As usual, the release of NVIDIA's latest graphics platform offers improved specifications to leave enthusiasts salivating for the moment they can experience NVIDIA's exciting new technology. Clevo is the perfect manufacturer to help facilitate NVIDIA's newest graphics interface, satisfying enthusiasts and gamers alike. AVADirect, a leading custom computer integrator, is now offering new Haswell-based E3 Xeon server and workstation configurations. AVADirect announces freshly-designed and added desktops featuring the new Ivy Bridge architecture by Intel. Created using a new LGA 1150 socket, the Intel Haswell processors follow the same trend of the first three generations of Intel processors; improved efficiency, performance, clock speed, and ease of overclocking. These vast improvements appeal to any end-user and are geared for a multitude of uses. AVADirect announces newly-designed “Powered By The Best” configurations, featuring leading manufacturers ASUS and Corsair. “Powered By The Best” configurations were created through a long-standing partnership between AVADirect and leading manufacturers within the industry. Rather than add to the tasking experience of researching component brands, AVADirect sets out to simplify the process by offering streamlined configurations, powered by the best manufacturers in the industry. Currently, AVADirect offers certified configurations powered by ASUS and Corsair – Industry giants that have positive-standing impacts on end-users and system builders. AVADirect has begun to accept pre-orders for the highly anticipated Microsoft Windows 8 operating system, listed in appropriate configurations. The newest edition from Microsoft is scheduled to be released on October 26th, promises to increase performance, functionality, and productivity in many forms of added features and support. 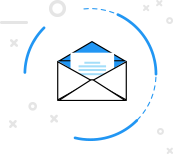 As part of AVADirect's mission to provide the latest and greatest hardware, AVADirect also aims to provide the latest and greatest of Microsoft operating systems available. Currently, AVADirect prominently offers Windows 7 versions, and Linux pre-load options with limited support. End-users can take advantage of the pre-order immediately and be one of the first to receive a pre-installed Windows 8 desktop, workstation, or notebook. 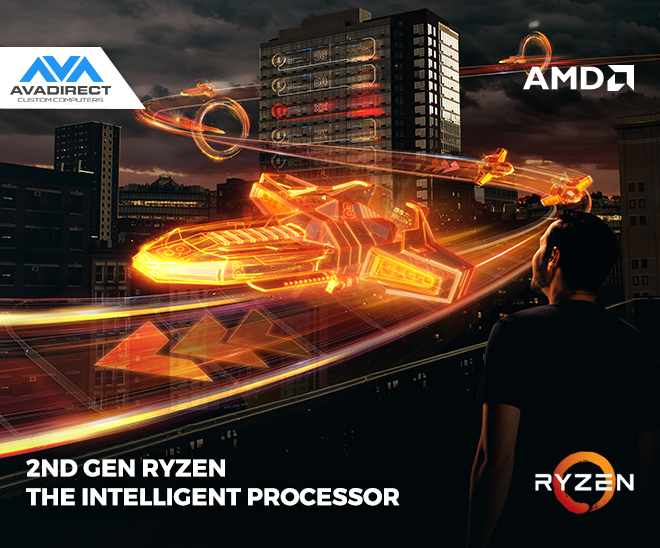 AVADirect, a leading custom computer manufacturer, announces tested compatibility for 32GB RAM Kits now featured in the Clevo P170HM, P151HM, MSI GT780DXR-405US,GT683DXR-634US, and ASUS G53SX, G73SW, G74SX gaming notebooks. AVADirect announces newly added desktops featuring the new Bulldozer architecture by AMD. The Bulldozer processors feature six to eight cores and coexist with AMD FM1 and AM3+ chipsets to drive HD quality visuals along with multi-monitor gaming using ATI graphics card eyefinity technology. Increased cores will provide end-users with increased mutli-tasking, and the ability to handle stress-oriented processes that previous generation chips could not handle. The Bulldozer architecture is said to be the direct response to Intel’s Sandy Bridge architecture, even after four years in development. Before launch, AMD set a world record by overclocking their FX series processor to 8Ghz using liquid hydrogen. The demonstration was not meant to point end-users in a specific direction of cooling methods, but to showcase the Bulldozers ability to overclock to new limits set by AMD. AVADirec announces the addition of the world's fastest mobile GPU, the NVIDIA GeForce GTX 480M for its Clevo W880CU notebook. The GTX 480M uses identical GF100 architecture as in desktop GPUs; however NVIDIA raised the standard by offering GF100 in a mobile version. The GTX 480M is revolutionary, as it provides Thermal Design Power of 100 watts and a minimized number of CUDA cores ultimately reducing power consumption without compromising the visual performance. Supporting up to 2GB VRAM, the GTX 480m features 352 CUDA cores within a 256-bit memory interface. With its combined power of NVIDIA PhysX, DirectX 11 and NVIDIA 3D Vision technologies this video card has set the standard for mobile graphic cards. AVADirect has announced that its line of AMD based configurations are now available with new X6 six-core processors, and for purchase. The AMD Phenom II X6 AM3 processor series is AMD's desktop processor technology with new levels of cache and hyper-transport speeds providing even higher levels of performance.